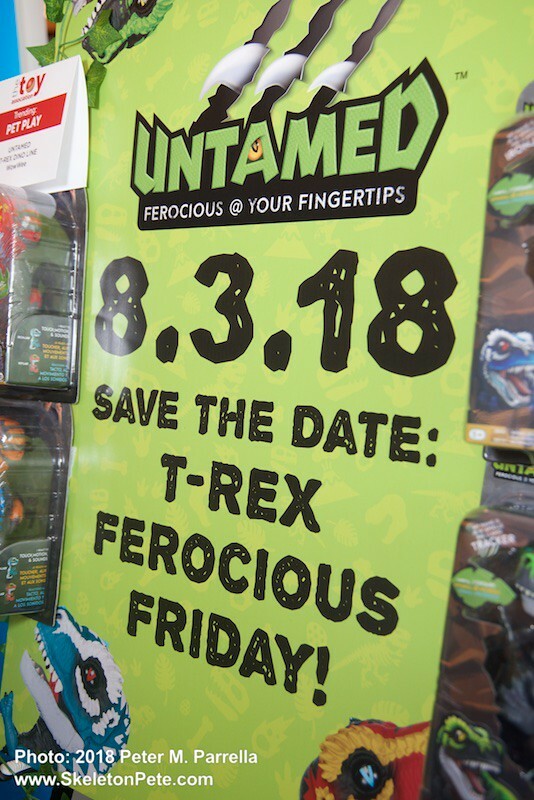 For a fair amount of time WowWee’s Fingerlings Monkeys were the Kings of Swing in their part of the jungle, but that’s about to change on “Ferocious Friday” (August 3, 2018) when the mighty Untamed T- Rex enters the ecosystem. 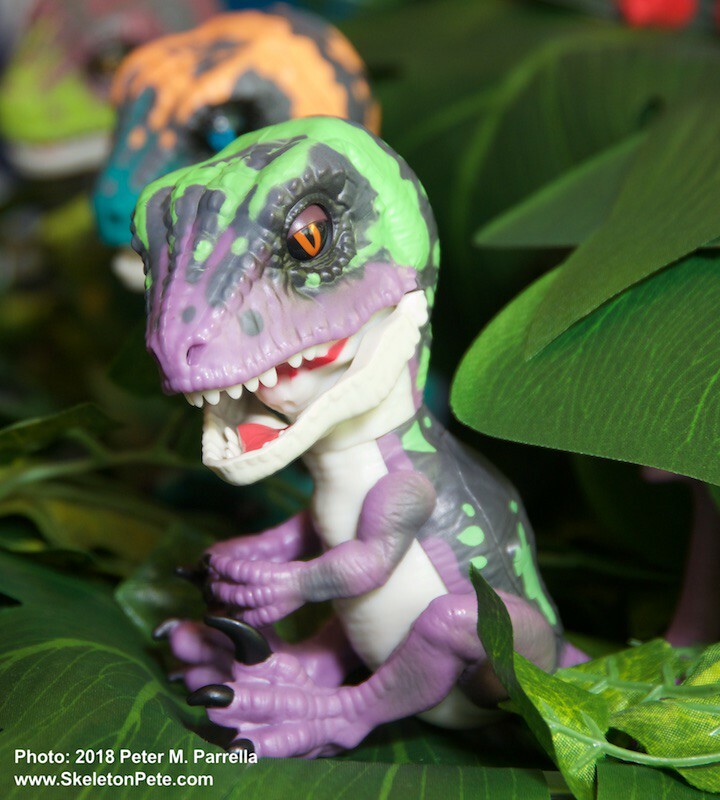 Poised to give their prehistoric partners – the Untamed Raptors – a rollicking run for their claws, the 4 new regal Rexes actually have a dual nature. In Untamed mode they elicit their fierce side by roaring, snapping and hissing. They’ll make worthy protectors for youngsters ages 5 and up. They can also be a best friend when switched to their Tame persona and their bold color schemes give each its own identity. 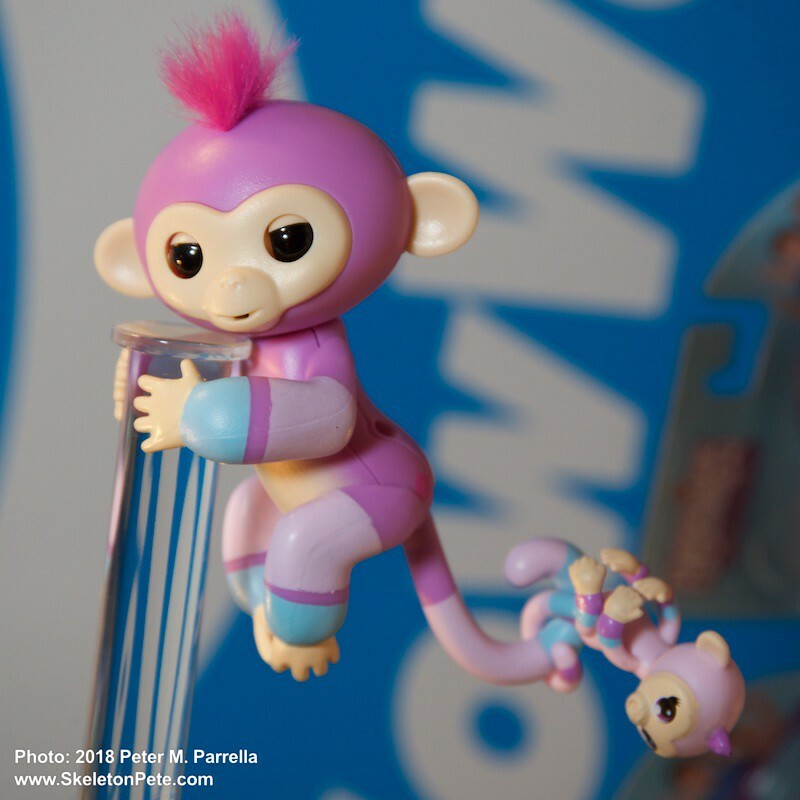 Like WowWee’s other Fingerlings they react to sound, touch and motion, and have more than 40 utterances and animations to make them seem quite alive and interactive. 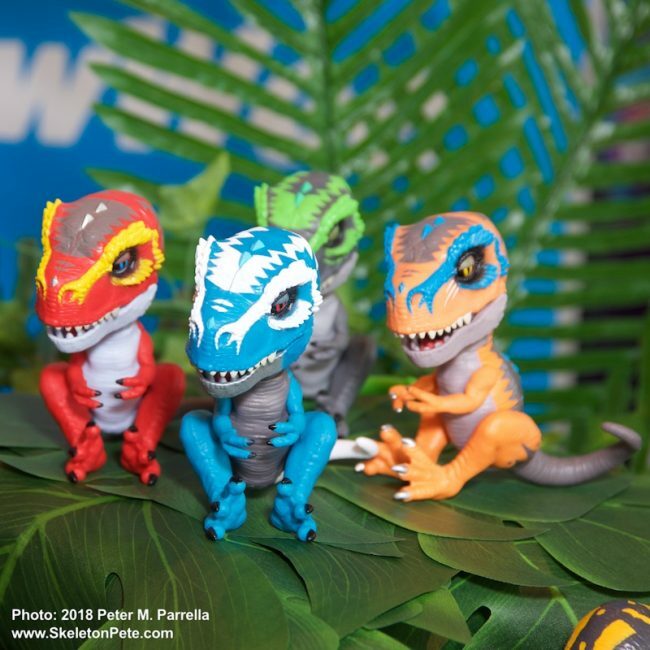 We caught a glimpse of them at the recent Toy Insider Sweet Suite event, but you can easily find them on the shelves of retailers starting this week. $14.99 each USD. 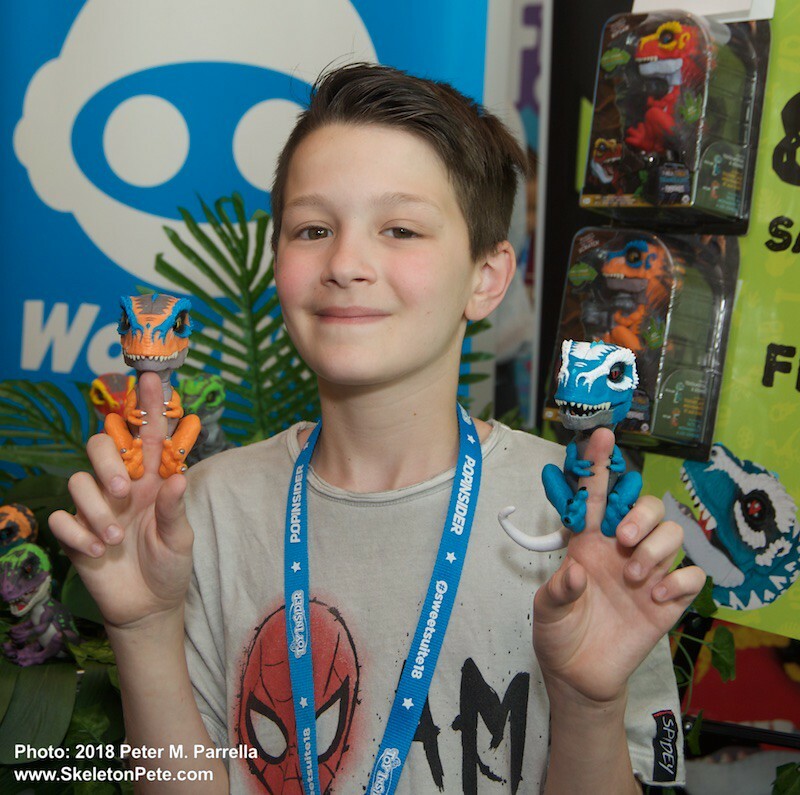 If you are a fantasy fan, with tastes that run on the mellower side WowWee has you covered with the soon to be released Fingerlings Baby Dragons. 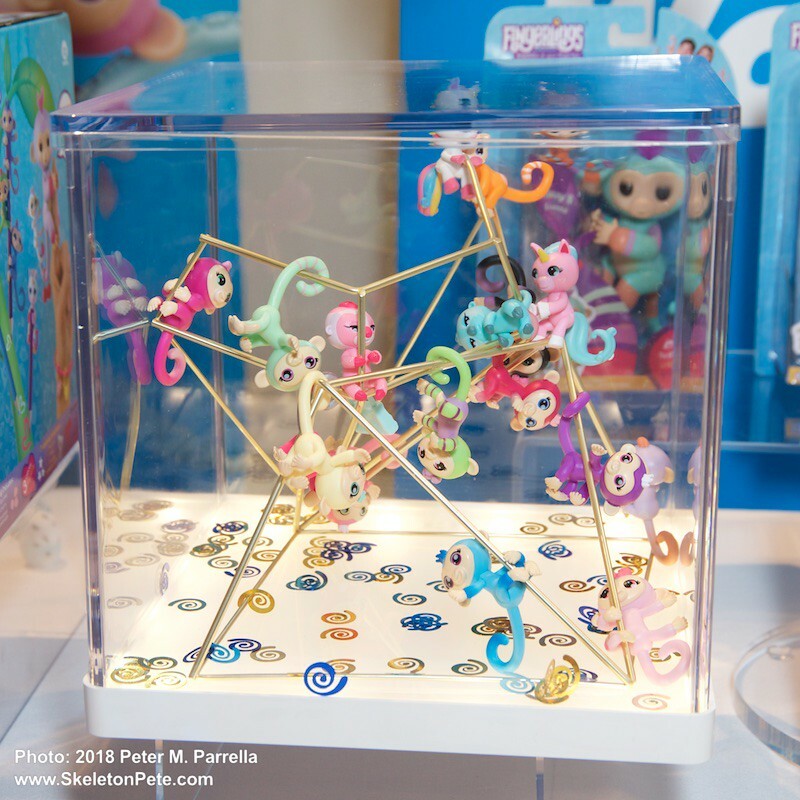 These little ones will make great pals for the already available Fingerlings Unicorns. Baby Dragons will be arriving exclusively at Walmart on August 24. 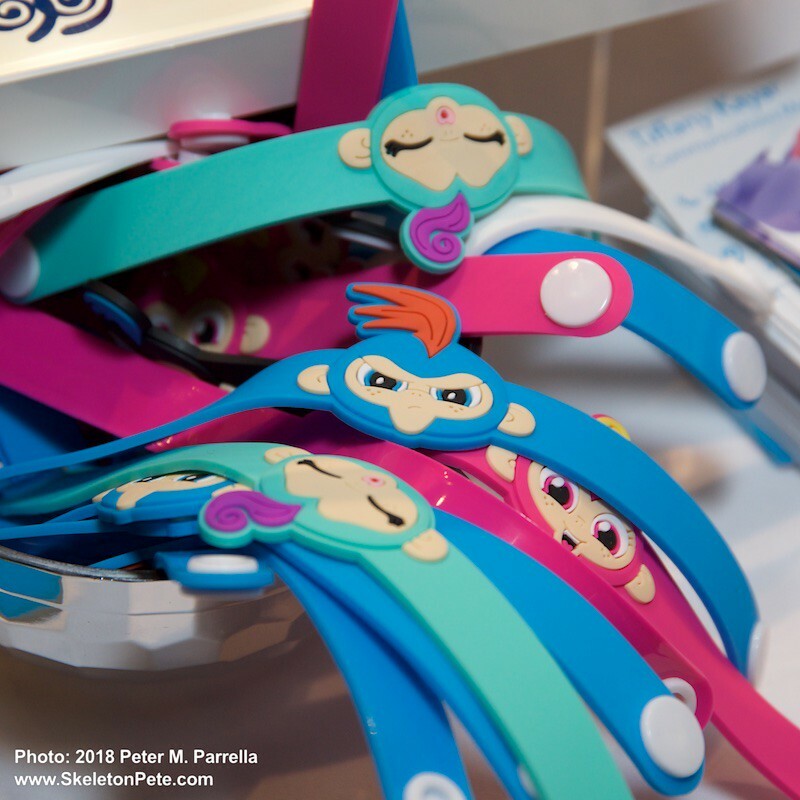 Additionally, WowWee has expanded the popular Fingerlings license beyond the animated pets. There are tail hanging MINIS, mystery bags, wrist bands and charm bracelets. 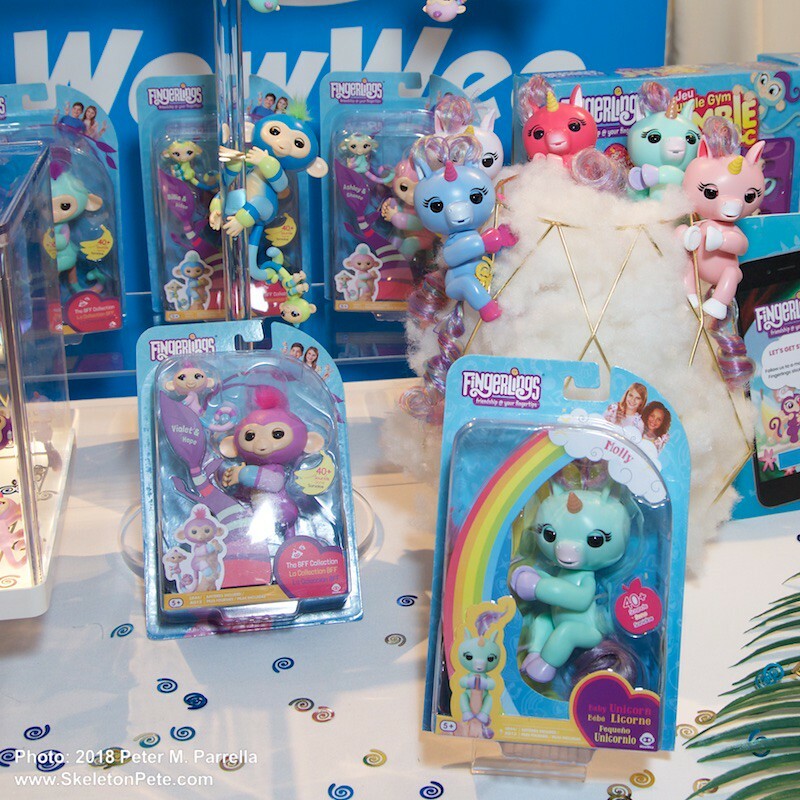 Plush renditions called Fingerlings HUGS can be expected in the fall. 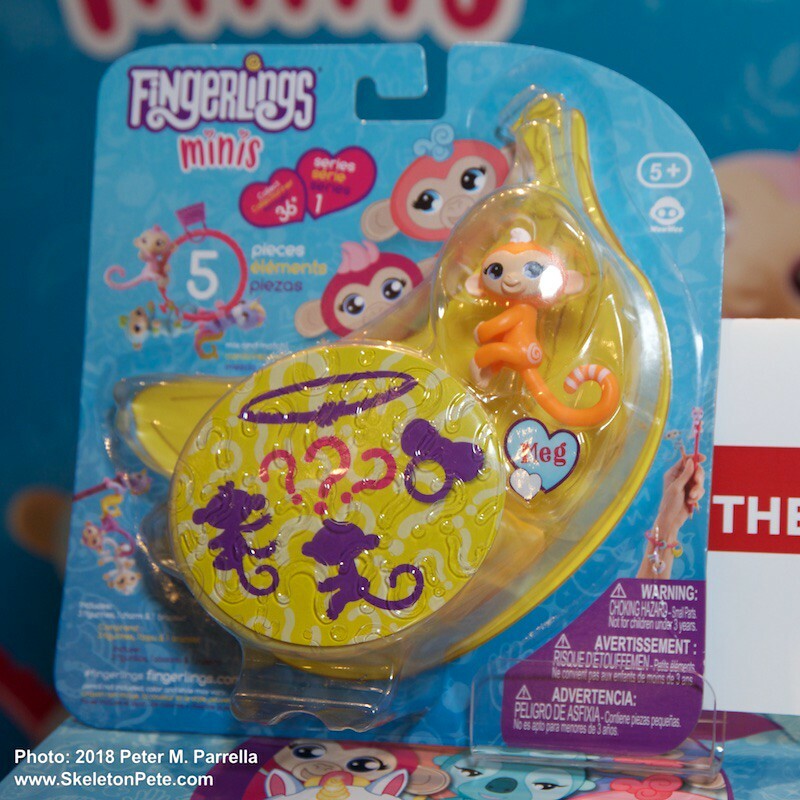 We think the original Fingerlings Monkeys could use a champion. 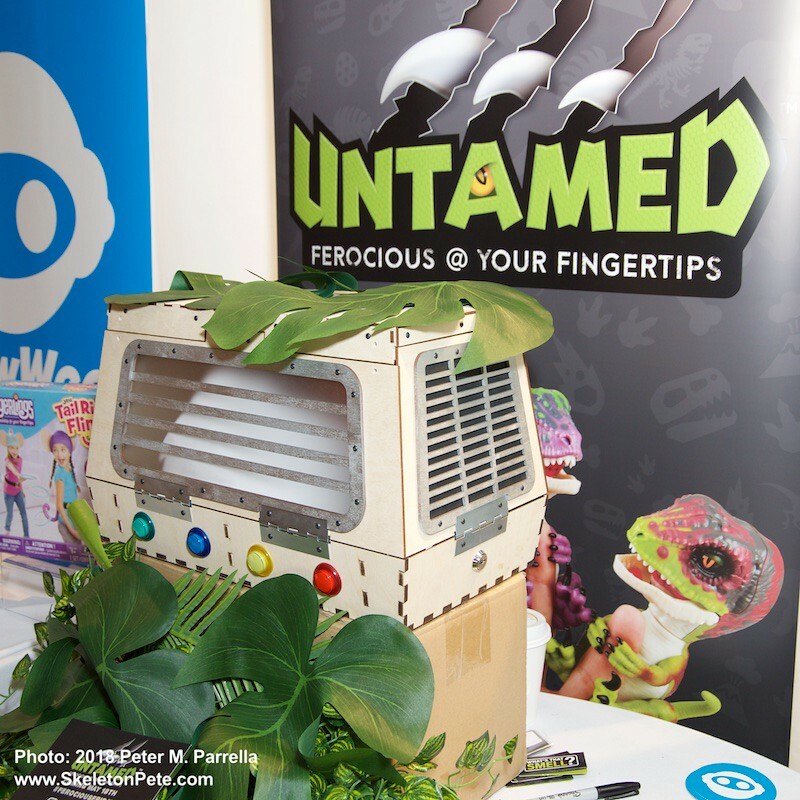 Maybe WowWee will shake the prehistoric tree and unleash a Rockin’ Royale Gorilla for some real hand-to-hand combat with T-Rex, or maybe they’ll just shake hands and agree to share the crown.